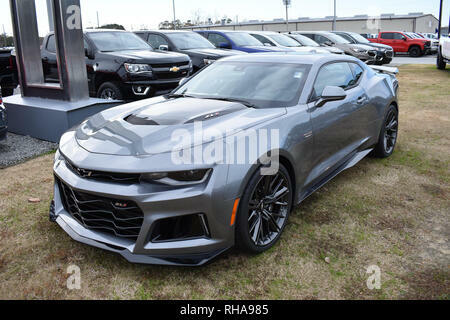 Corvette C7 Stingray Gran Sport. 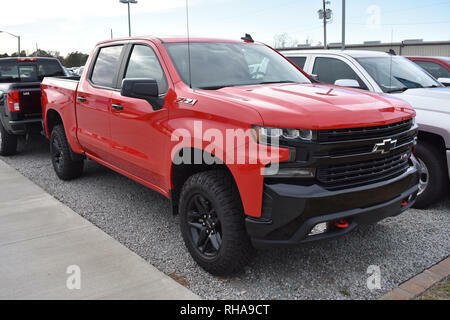 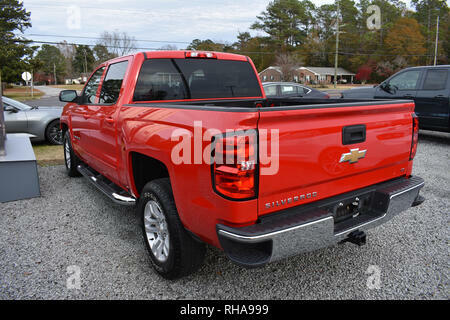 2019 Red Chevrolet Silverado Z71 Pickup Truck. 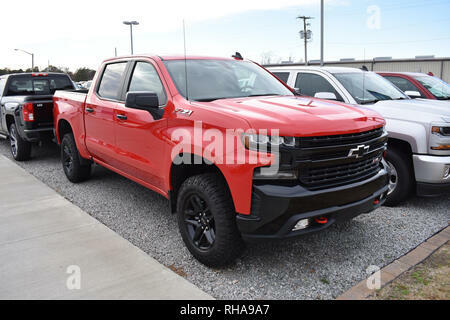 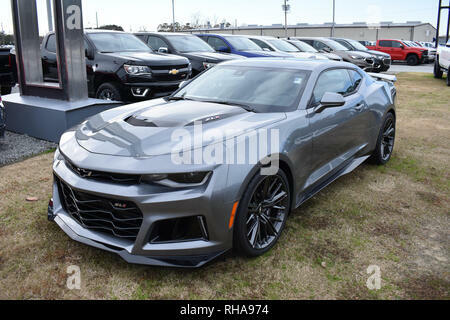 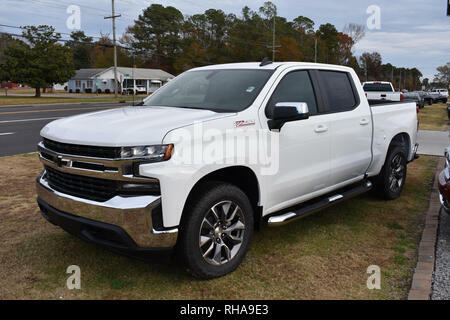 2019 Chevrolet Silverado Pickup Truck Z71. 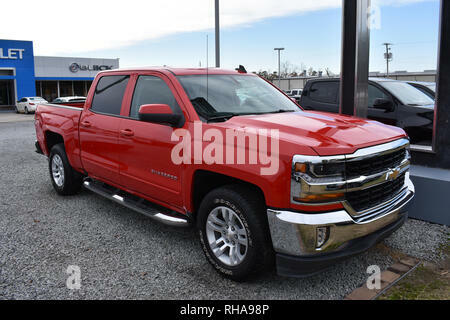 2018 Chevrolet Silverado Z71 Pickup Truck. 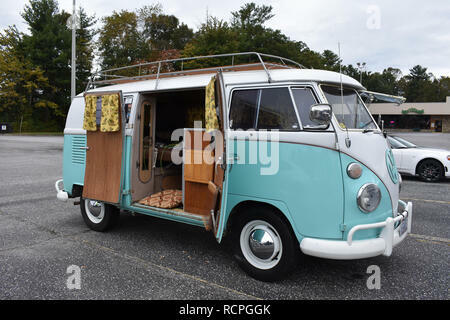 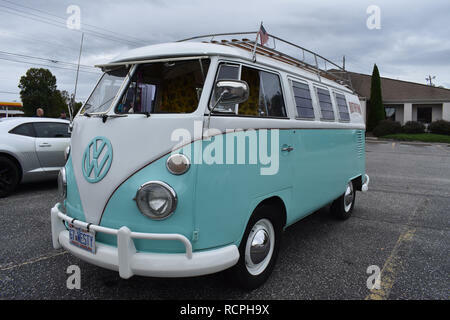 A Volkswagen microbus camper van. 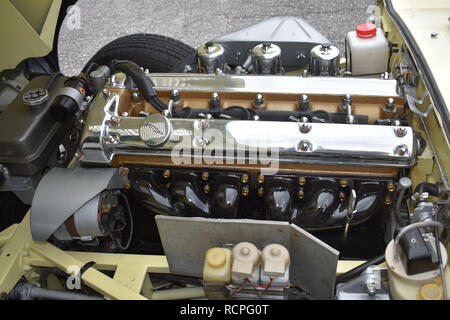 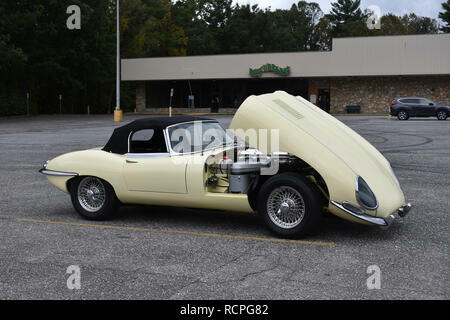 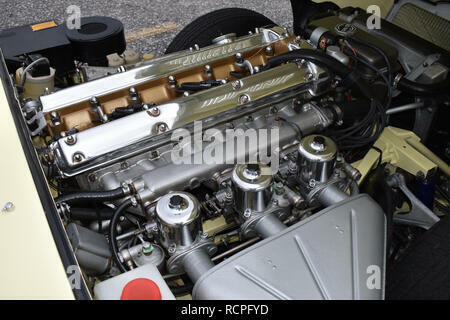 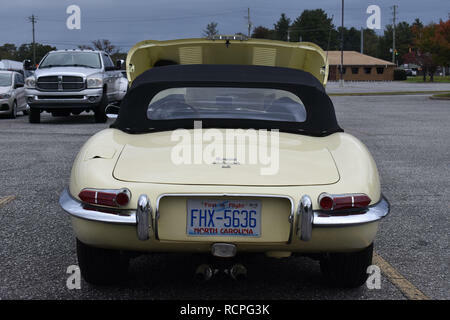 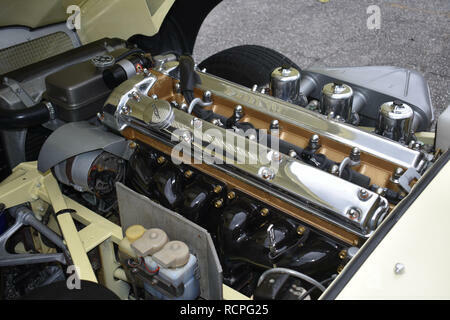 Jaguar E Type Sports Car. 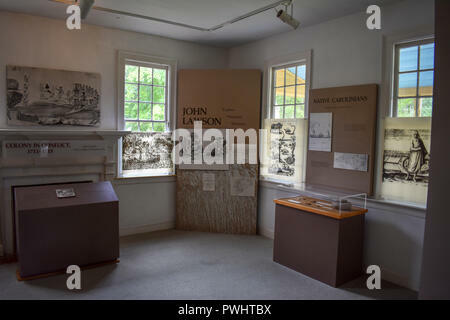 A display in the Van Der Veer House Museum showing early colonial life. 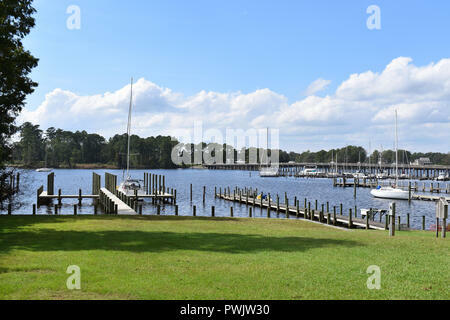 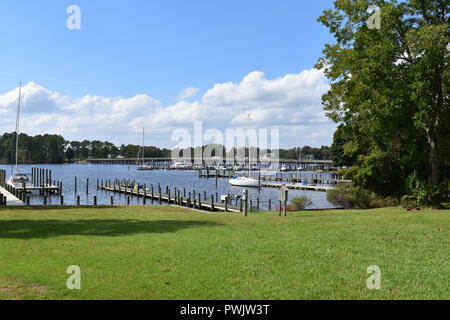 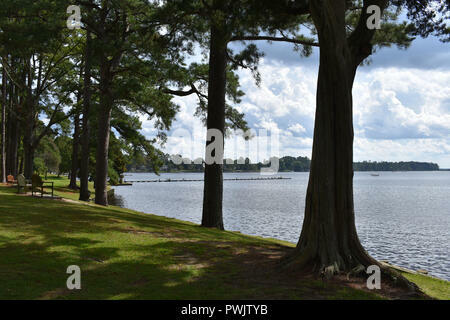 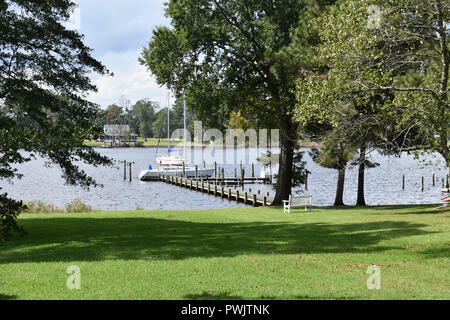 The waterfront in historic Bath, North Carolina USA. 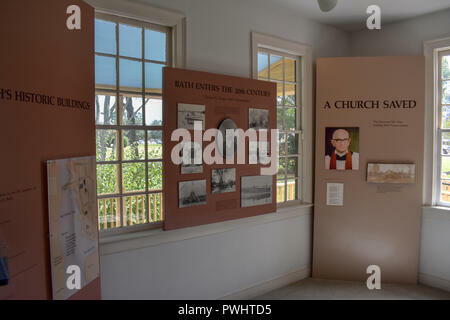 The Historic Bath Exhibit Center. 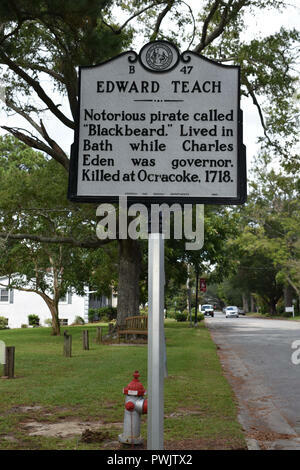 Edward Teach the notorious pirate called Blackbeard lived in Bath, North Carolina for a time. 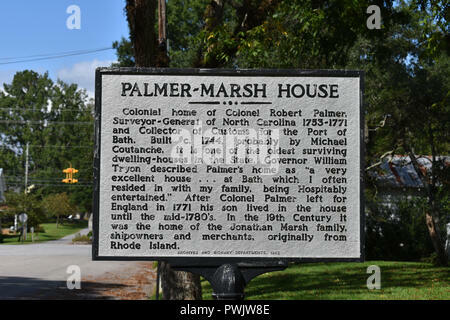 The Palmer-Marsh House located in historic Bath, North Carolina. 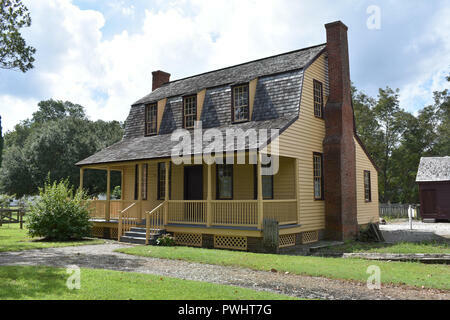 The Van Der Veer House was restored and made a museum for the Bath State Historic Site. 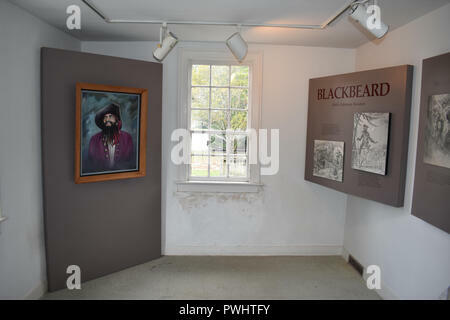 The Museum has displays about colonial life and Blackbeard. 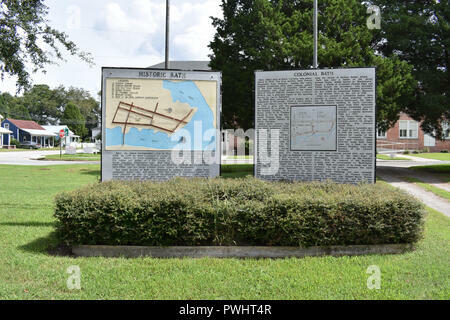 Information and a Map located at the Visitor Center in Bath, North Carolina. 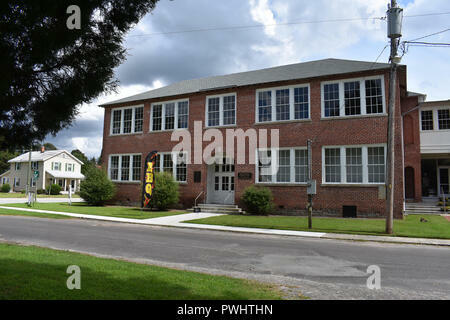 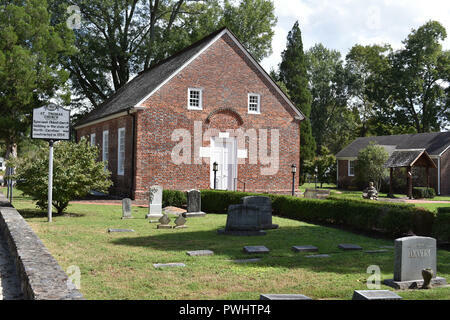 Bath is the oldest town in North Carolina. 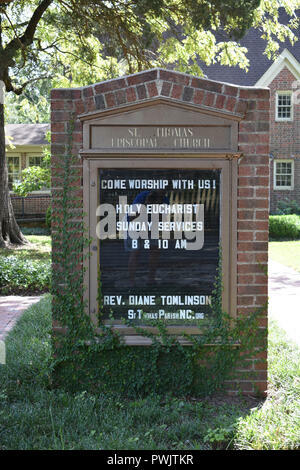 St. Thomas Episcopal Church located in Bath, North Carolina. 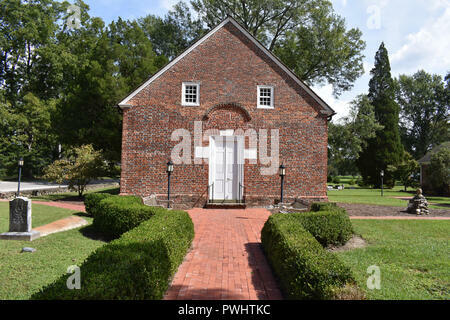 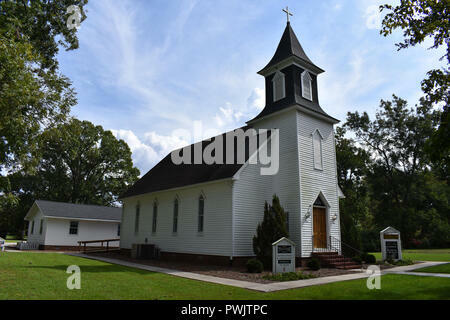 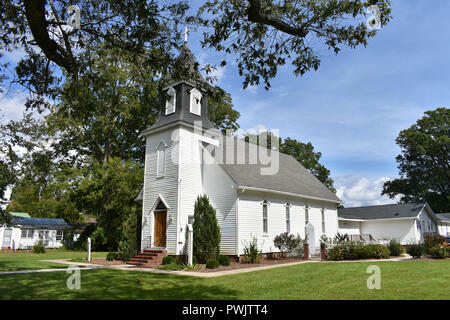 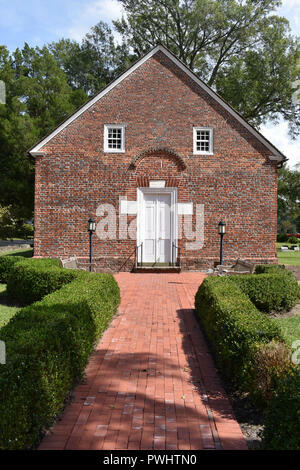 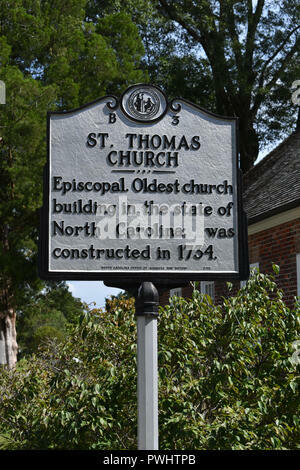 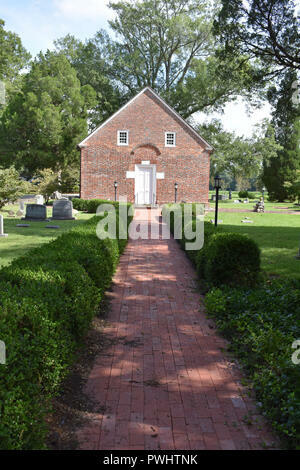 St. Thomas Episcopal Church is the oldest church building in North Carolina. 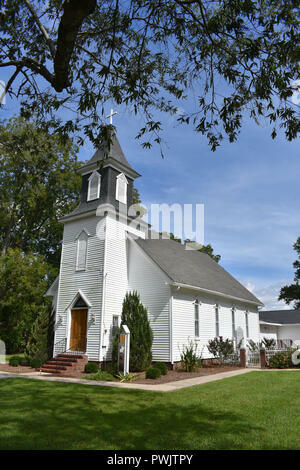 Bath United Methodist Church built in 1891 and had a congregation since 1825. 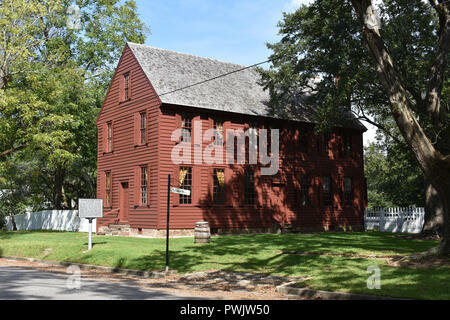 Bath is the oldest town in North Carolina. 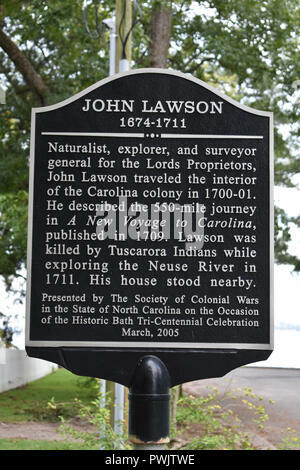 A historic marker for John Lawson the naturalist, explorer, and surveyor. 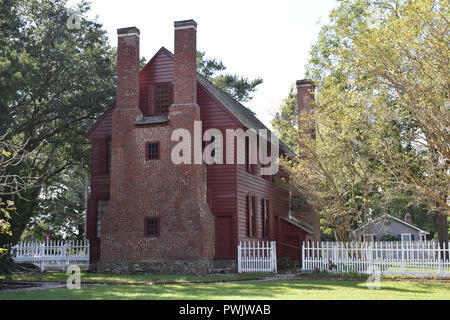 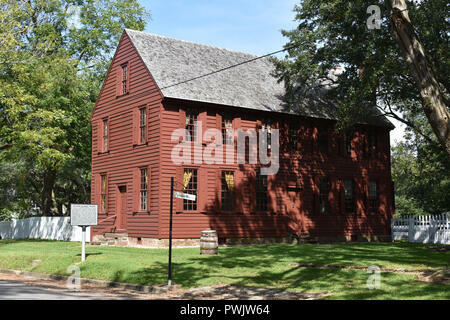 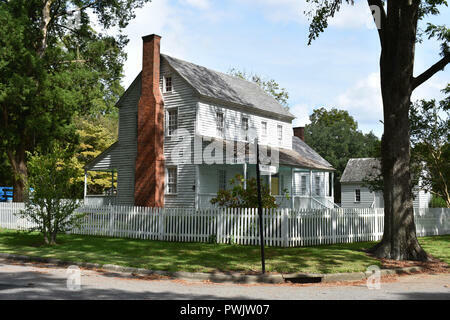 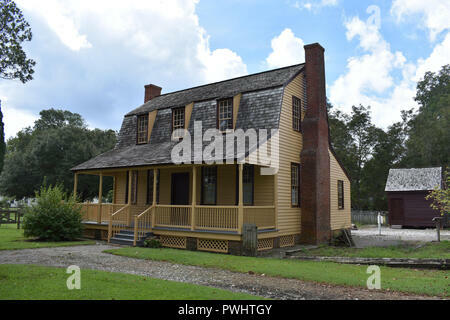 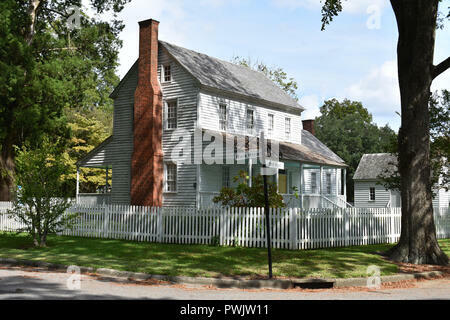 The historic Joseph Bonner House located in Bath, North Carolina. 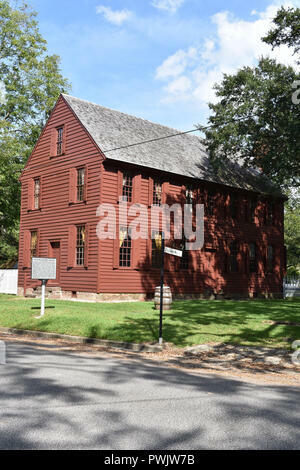 Bath is the oldest town in North Carolina. 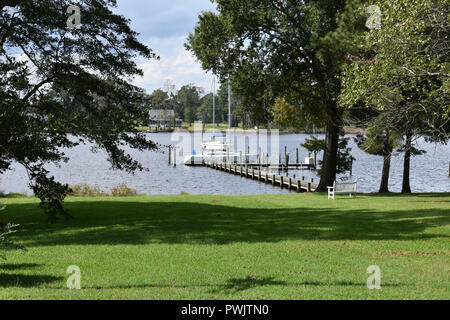 The waterfront along Bath Creek in Bath, North Carolina USA. 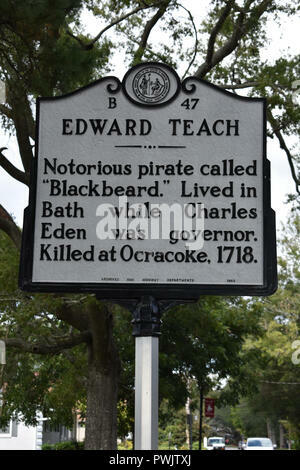 Bath is the oldest town in North Carolina and home of Blackbeard the Pirate. 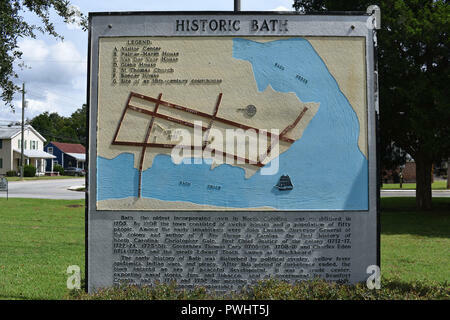 A Map of Bath, North Carolina displayed in the Van Der Veer House Museum. 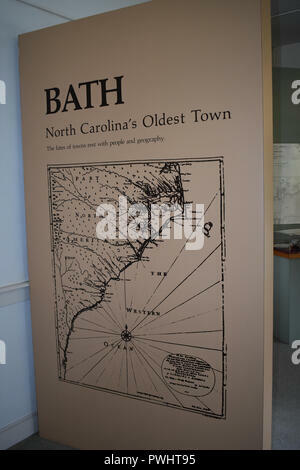 Bath is the oldest town in North Carolina. 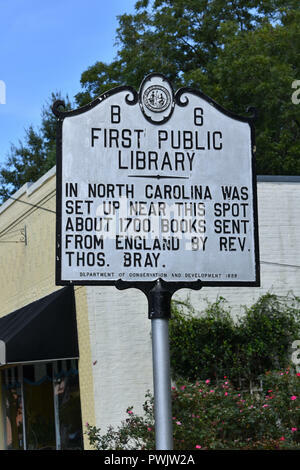 A Historic Marker showing the location of the First Public Library in North Carolina. 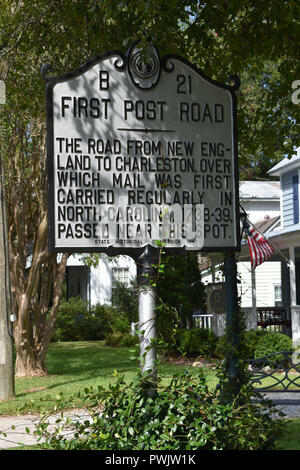 A historic marker showing where the First Post Road passed carrying mail from New England to Charleston. 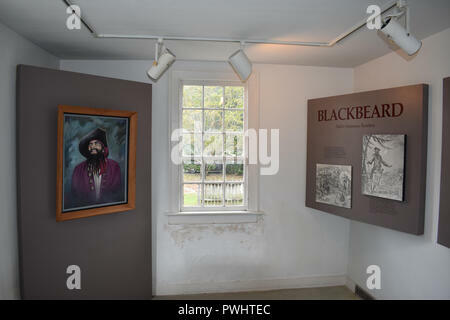 A display in the Van Der Veer House Museum about Edward Teach known at Blackbeard the Pirate. 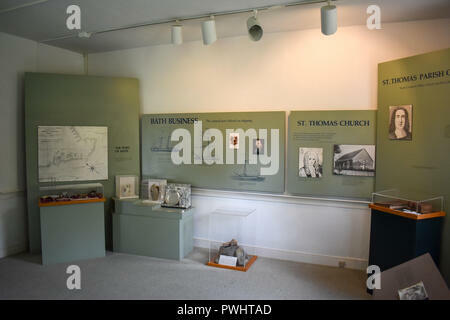 A display in the Van Der Veer house showing information about St. Thomas Church and an early Photographer Thomas F. Draper. 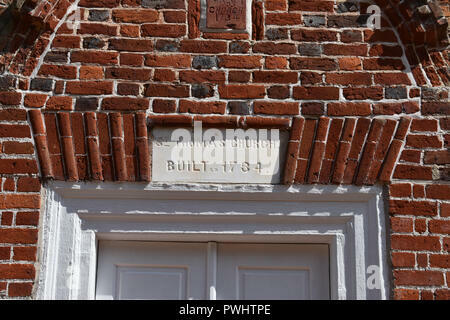 The sign at the entrance to the Bath Visitor Center. 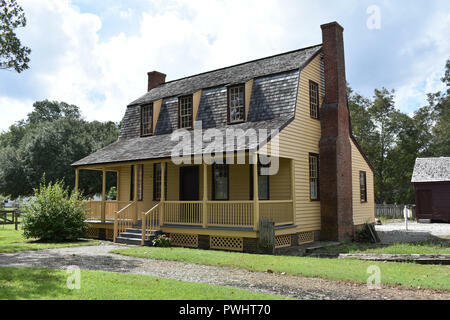 Home of John F. Tompkins located in historic Bath, North Carolina. 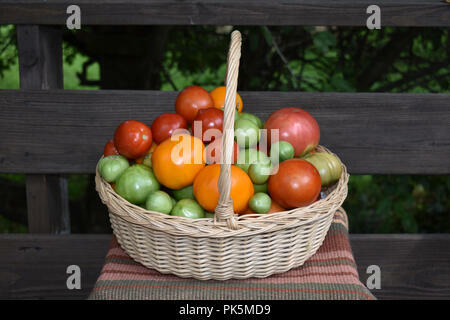 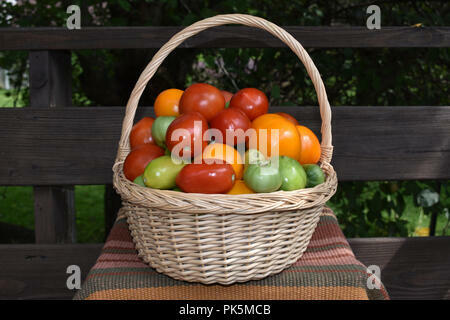 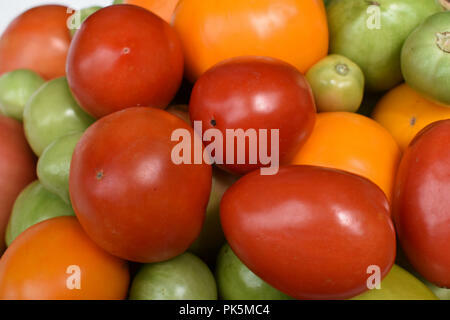 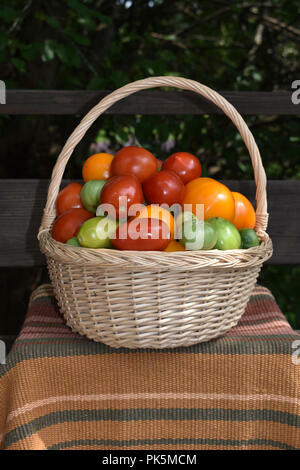 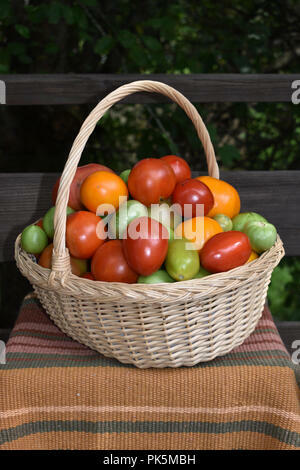 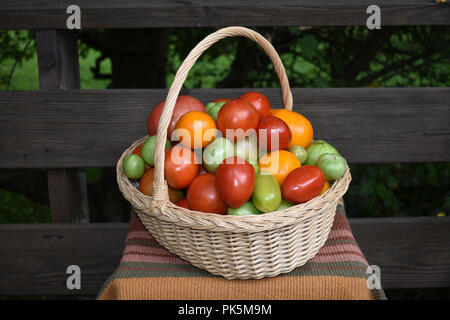 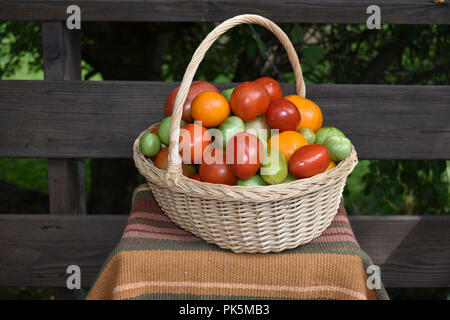 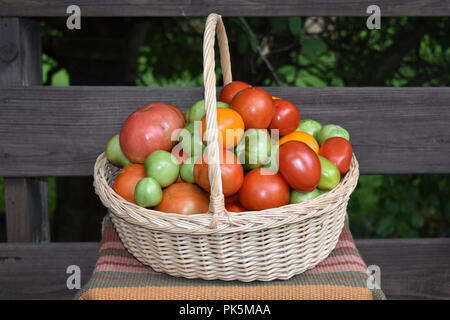 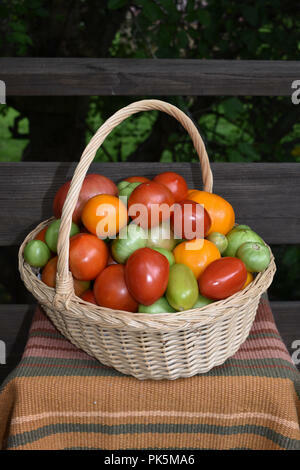 A basket of red, yellow and green tomatoes. 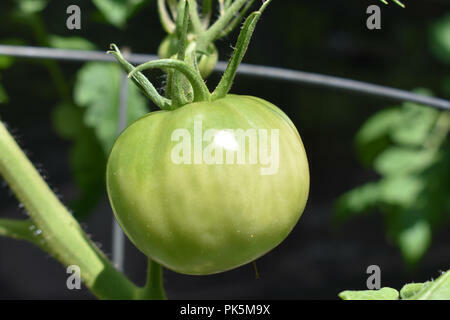 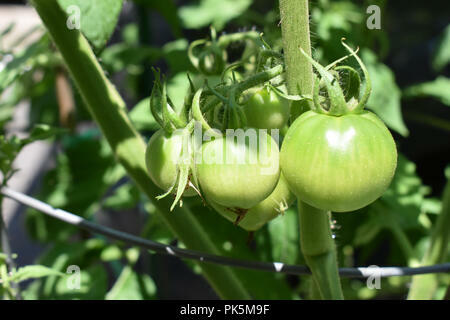 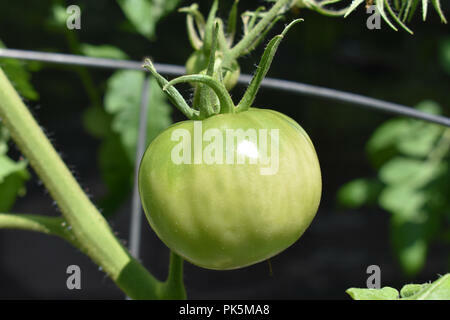 Green Tomatoes growing on the vine. 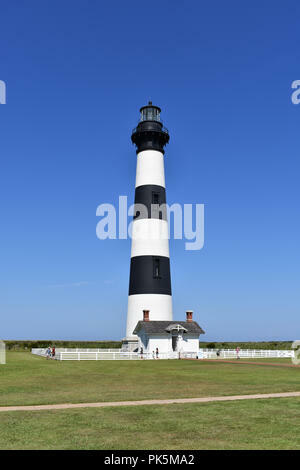 The Cape Hatteras Lighthouse located on the North Carolina Outer Banks. 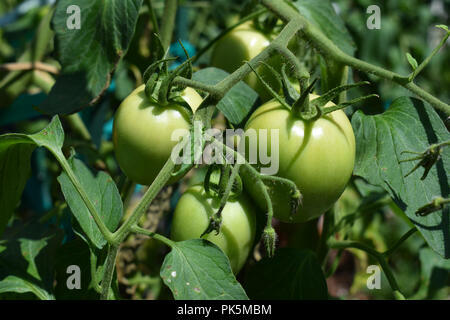 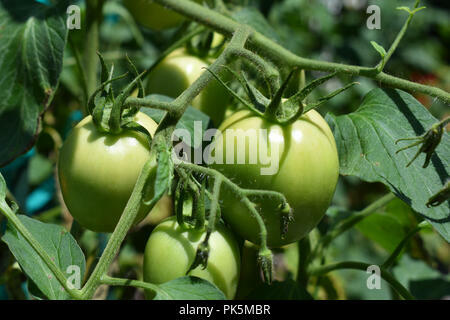 Tomatoes growing on the vine. 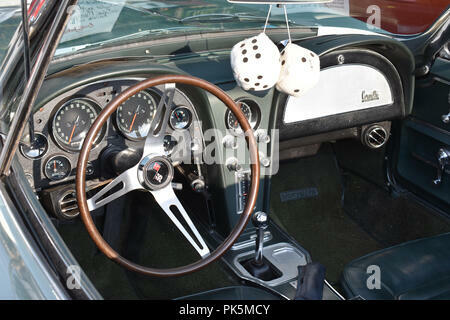 A Chevrolet Corvette Stingray interior at a car show. 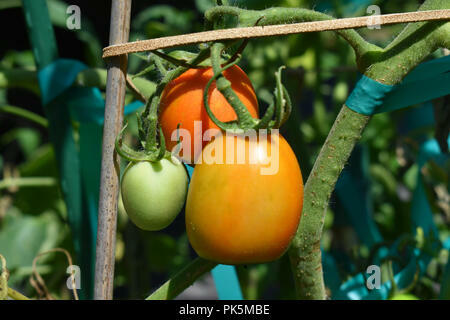 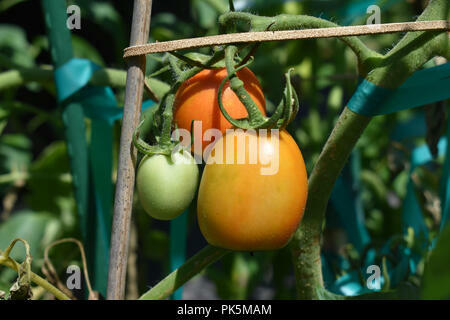 Tomatoes ripening on the vine. 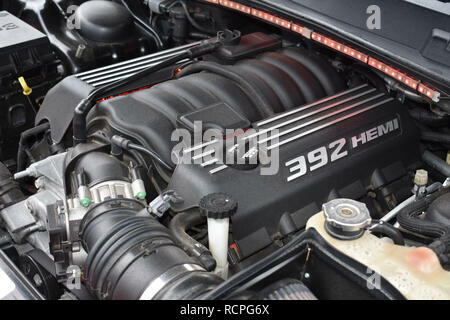 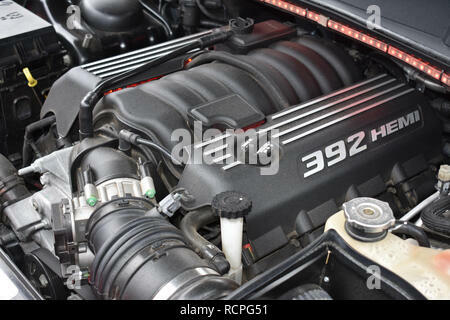 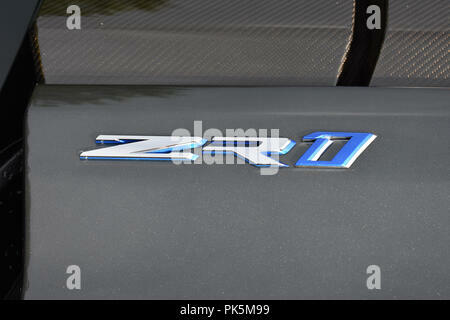 The hood emblem on a C7 ZR1 Chevrolet Corvette. 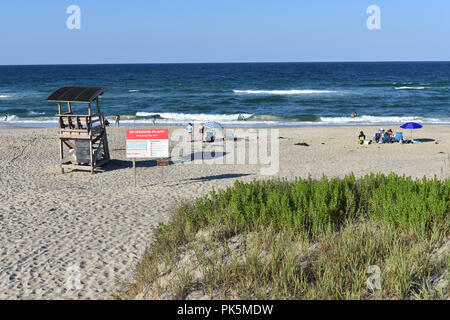 Coquina Beach on the Cape Hatteras National Seashore with signs showing no Life Guard and dangerous rip currents. 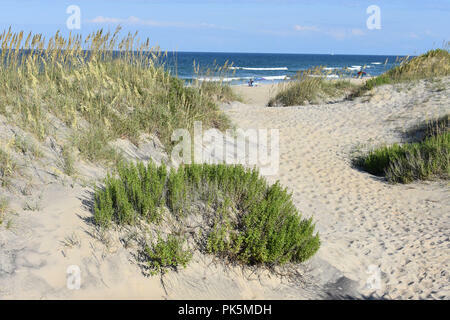 Coquina Beach on the Cape Hatteras National Seashore. 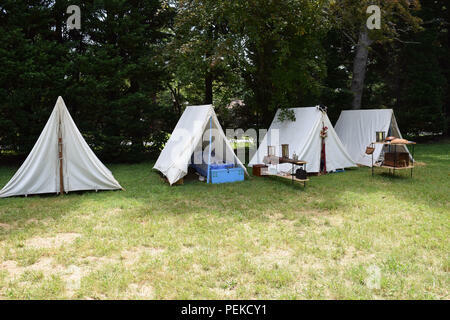 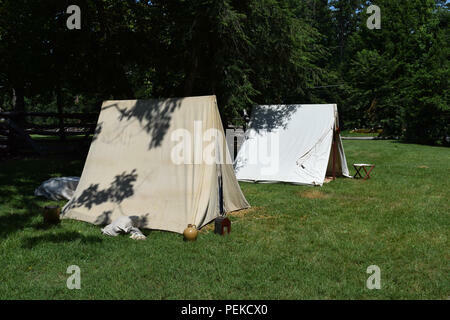 The camp in a reenactment of the battle of Guilford Courthouse. 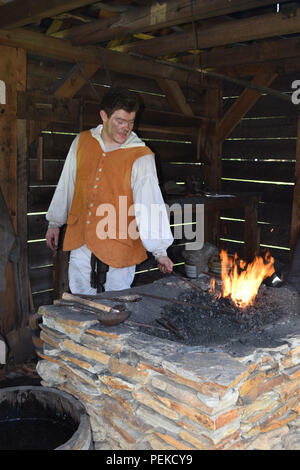 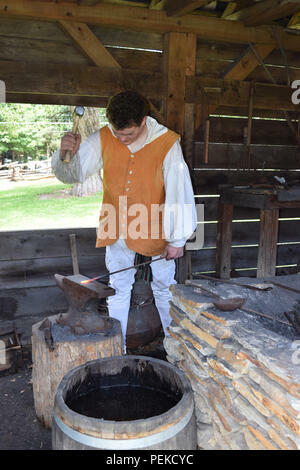 A demonstration of a Colonial Blacksmith working Iron. 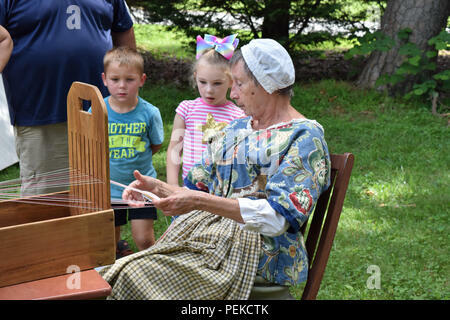 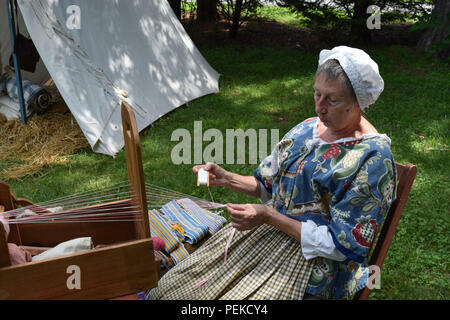 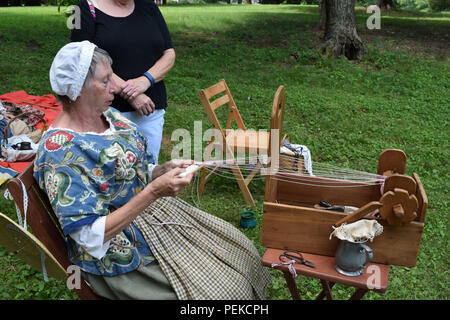 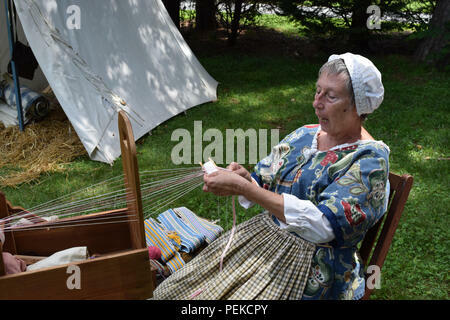 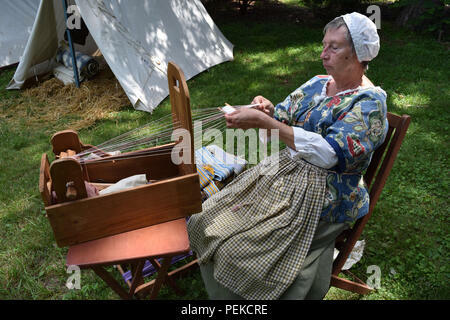 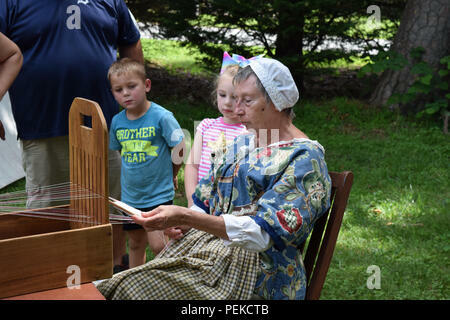 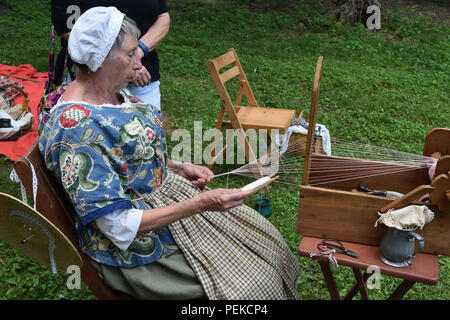 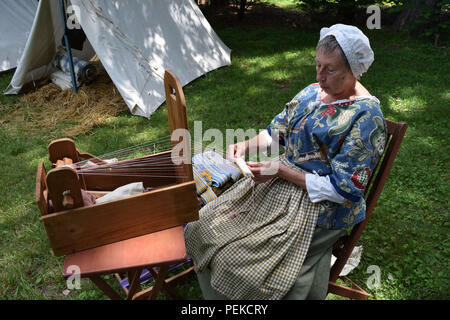 A woman giving a demonstration of using a Hand Loom from colonial times. 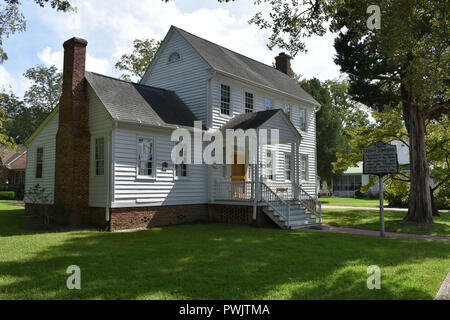 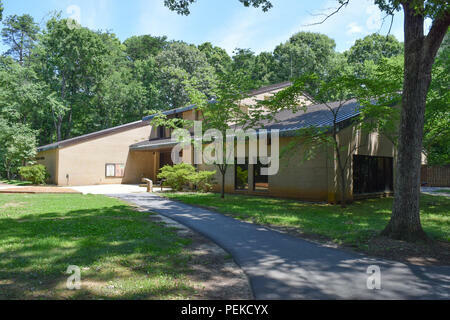 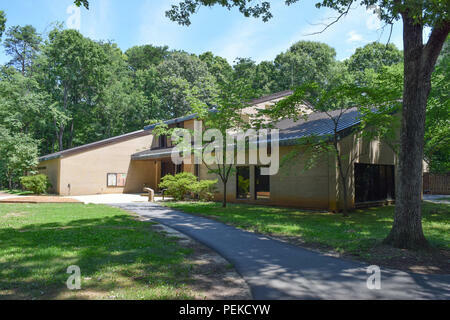 The Visitor Center at Guilford Courthouse National Military Park. 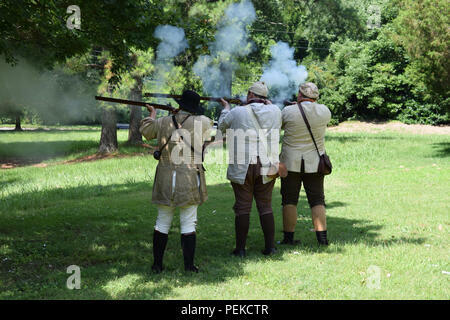 A Musket firing demonstration at Guilford Courthouse National Military Park. 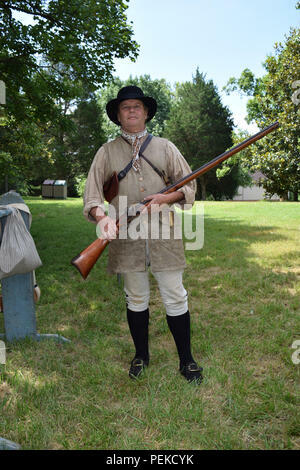 A Revolutionary War Reenactor at Guilford National Military Park.